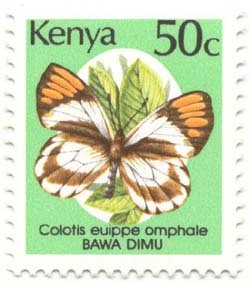 The Kenya Butterfly Definitives are as beautiful as many commemoratives. 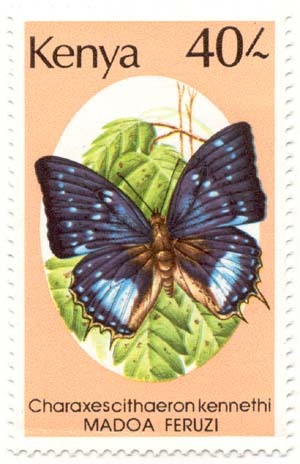 Unlike most topical stamps from Africa, these stamps saw genuine postal use often. Although covers of this issue are not common, its hard to beat the combination of beautiy and functionality. I have discussed this issue in Article 28. 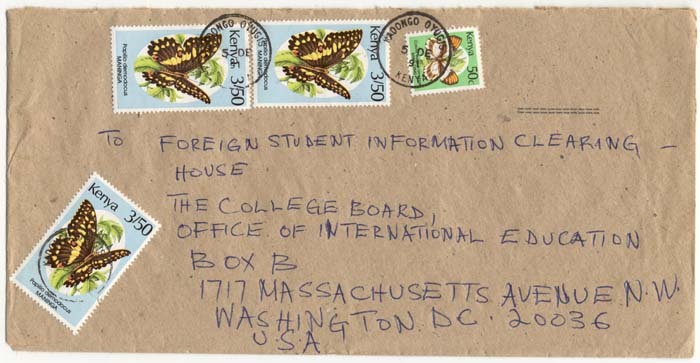 I have also begun to load covers from the Kenya College Board correspondence.